What's New for the 2018 BMW X Series? The X Series from BMW is a diverse lineup of sport utility vehicles from the manufacturer. The big changes heading into 2018 is the addition of the impress X2 trim package. More detail on this impressive new vehicles is listed below. 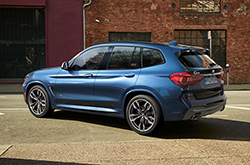 The 2018 BMW X Series hits the market with six trim packages in the luxury sport utility vehicle category. 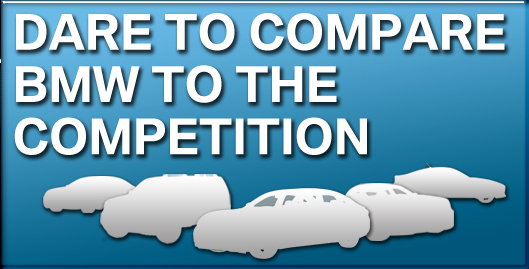 For any owner looking to get into this class of vehicles, BMW has options in many features and price points for consumers. The X1 trim package is the base level model and features an astounding 58.7 cubic feet of cargo space with the rear seats folded down. From behind the driver's seat, the experience is enhanced with a full-color head-up display on the windshield that projects driving information. The X1 also features the optional BMW all-wheel-drive system called xDrive. An optional 8.8-inch ConnectedDrive system displays everything the driver needs while behind the wheel. Passengers stay happy with rear sliding and reclining seats. The all-new X2 package steps up from the X1 with a sharp looking grille and front end, LED headlights with cornering lights, alloy wheels in a range of options between 18-20-inches, WiFi hotspot and an available M Sport package that features a moonroof, rear spoiler, shadow line and colored accents on the exterior. The X3 trim package features 62.7 cubic feet of cargo space and eight inches of ground clearance to make this one tough off-road vehicle. 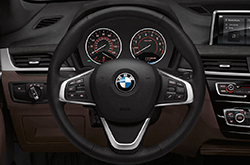 The X3 package comes available with the xDrive system, sport transmission with shift paddles and a sport suspension. Drivers can benefit from the available iDrive navigation system with voice or gesture control. An optional 12.3-inch media screen puts the digital world at the driver's fingertips as well. The X4 package tops the X3 as a sports activity coupe from BMW. The sporty style of the X4 shines with low seating profile and 10-way power front seats. 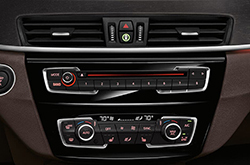 The X4 comes with the iDrive 5.0 system that gives the driver wireless connection with their phone apps and the head-up display projection on the windshield. Three available 19-inch wheels make the X4 look sharp on the road as well. The X5 trim is the largest of the X Series and features optional comfort seats that offer reclining and 3-inches of extra legroom. Optional dual 10.2-inch LCD screens also come available for rear seat passengers. With the rear seats stowed away, the X5 offers a whopping 76.7 cubic feet of cargo space. The interior features wood or brushed metal trim, available ambient lights and optional leather. Optional side and top view cameras give the driver a great surrounding view on the 10.2-inch iDrive touchscreen. The X6 sports activity coupe package boasts an intense ride with great suspension and handling from BMW. Ambient 3-color LED lights on the interior light up the inside with nine different lighting designs. A custom Harman Kardon surround sound system puts 16 speakers and a 600W amp into the X6 to provide a massive sound inside the cabin. The iDrive 6.0 system puts drivers in touch with any mobile apps that they want. The base engine on the BMW X series is the 28i 2.0-liter inline 4-cylinder engine. This motor puts out 228 horsepower and 258 lb.-ft. of torque. The next step up from that is the 30i engine that is a 2.0-liter inline 4-cylinder engine that puts out 248 horsepower and 258 lb.-ft. of torque. The 35i motor comes in as a 3.0-liter inline six that packs 300 horsepower and 300 lb.-ft. of torque. The M40i engine is a 3.0-liter inline 6-cylinder that cranks out 355 horsepower and 343 lb.-ft. of torque. The 40e hybrid engine is a 2.0-liter 4-cylinder engine that produces 308 horses and 332 lb.-ft. of torque. The 50i engine is a 4.4-liter V8 that kicks out a whopping 445 horsepower and 480 lb.-ft. of torque. Finally, BMW's Diesel motor is a 3.0-liter 6-cylinder that gets 255 horsepower and a 413 lb.-ft. of torque. BMW packs many great safety features in their 2018 line of X Series vehicles. These features include a full lineup of airbags surrounding the cabin, brake assist, daytime running lamps, child safety locks, turn signal mirrors, traction control, blind spot monitor and lane departure warning with lane keep assist.